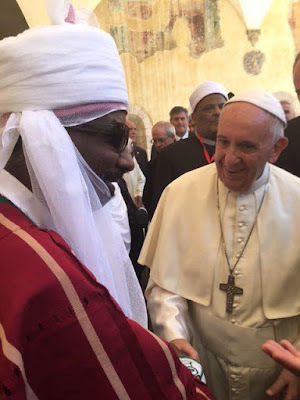 The Emir of Kano yesterday met Pope Francis in Assisi, Italy at the final meeting of the World Day of Prayer for Peace which the Pope also took part in. 450 religious leaders of different faiths from different countries gathered in Italy for three days to pray for peace in the world. And of course our very own Emir participated.